I truly didn’t know how I was going to use these colours and then all of a sudden, my card just came together. I’ve used Amazing You again as I just love these flowers. I gave them a bit of colour with Sahara Sand and Bermuda Bay Inks. The leaves are from Petal Palette and are stamped with Tranquil Tide Ink. I then added a strip of Emerald Envy cardstock just to get all the colours on my card. The next design team member in our hop is the wonderfully talented Simone Bartrum. Click here to take you to her blog. We have a new Colour INKspiration Challenge every fortnight. We would love it if you could play along with our challenge. 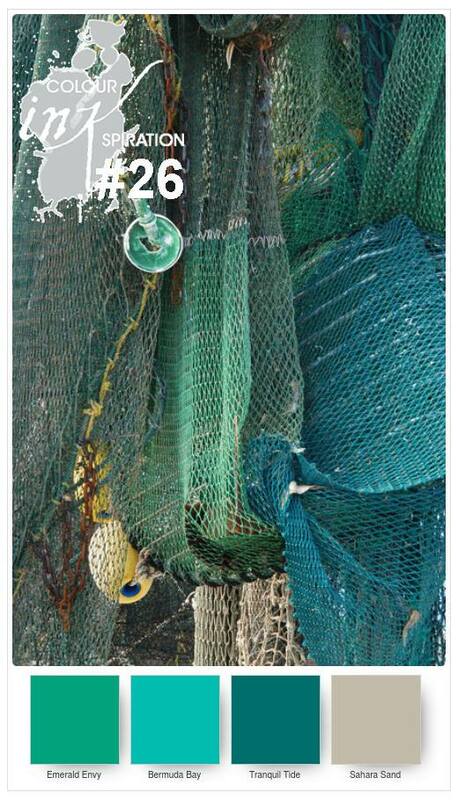 To link up your card, click here to take you to our current challenge on facebook. Beautiful as always, Narelle! 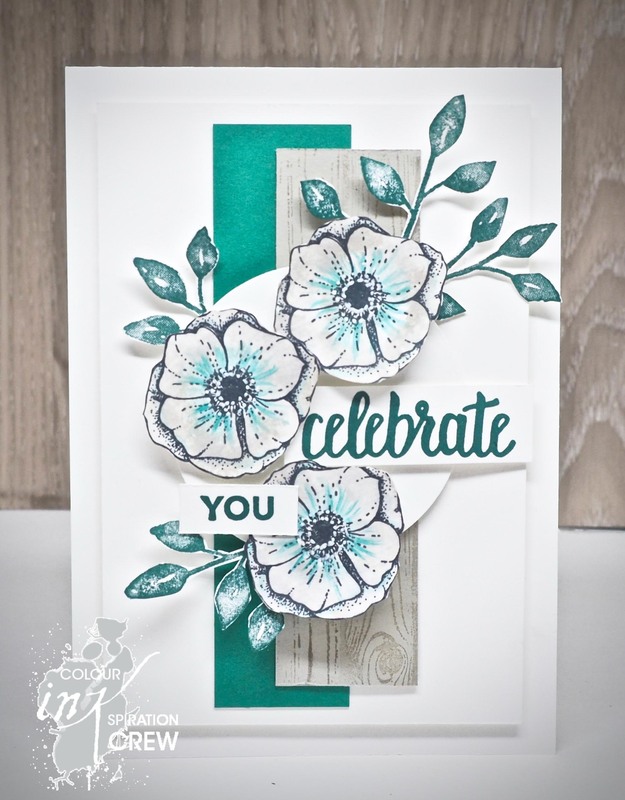 I just love the elegance of your cards and often copy them as I also love flower stamps. Thank you so much for your inspiration. A beautiful card Narelle. Perfect Balance of colours! Gorgeous and stunning all rolled into one! Absolutely adore this card, this one card I must case. Just one question did you stamp the flowers in night of navy or was it tranquil tide,just love the depth it gives to the flowers. I love the hardwood stamped piece in the background – what an effective extra element to hold it all together. And the colouring – totally inspired. I would never think of Sahara Sand on a flower! So clever. Beautiful! Love how you pulled all those colors together so elegantly! Love your flowers, especially all that fussy cutting.